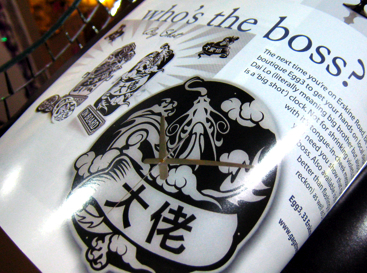 nest – A local free publication on creative urban living recently feature our Big Shot’s car sign and wall mounted clock. Describing us as the “local design mavericks…” Cheers nest! Each GUCCI watch that GenuineWatches.com sell is guaranteed to be brand new, authentic and free from defects. As an added bonus they also include 3 manufacturers warranty. They offer free shipping as well, so if I suggest you head along to GenuineWatches.com and check it out for yourself.